It's mid-July and we are now past Independence Day, which means it's the time of year we start seeing back to school stuff everywhere. I know that makes us teachers do a deep sigh, as we just want to enjoy our last few weeks of summer. However, this is also a great time to start getting things ready for the next year before the insanity of in-service and professional development starts. I've been working on projects like purposeful morning work for the entire year, (get yours here! ), and setting up task boxes for small groups. I'm really excited about my new task boxes, and plan to share them with you after I'm back in my classroom this fall. 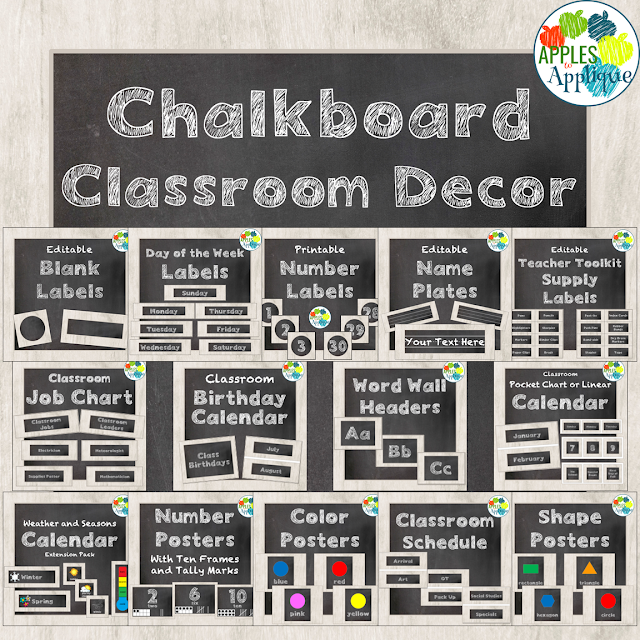 All of that purposeful planning takes time, so today, I wanted to share lots of classroom decor and organizational items in several fun themes to make your classroom setup a breeze. Whether you want something whimsical and cute, or a little more sophisticated, I have decor you're sure to love! I offer the components individually, and also as part of money-saving bundles. 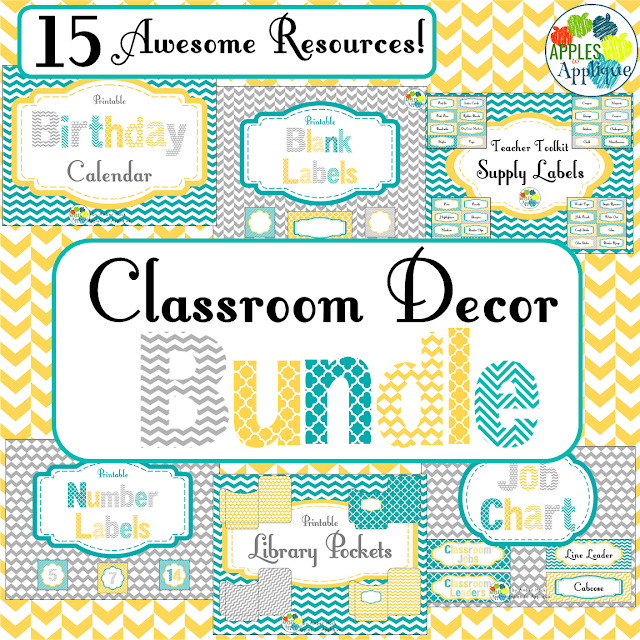 Each of my themes is available in two smaller bundles; one is geared toward early childhood, with things like alphabet, shapes, and color posters; the other, called my teacher organization bundle, has labels, name plates, and the like, and is appropriate for all of elementary. 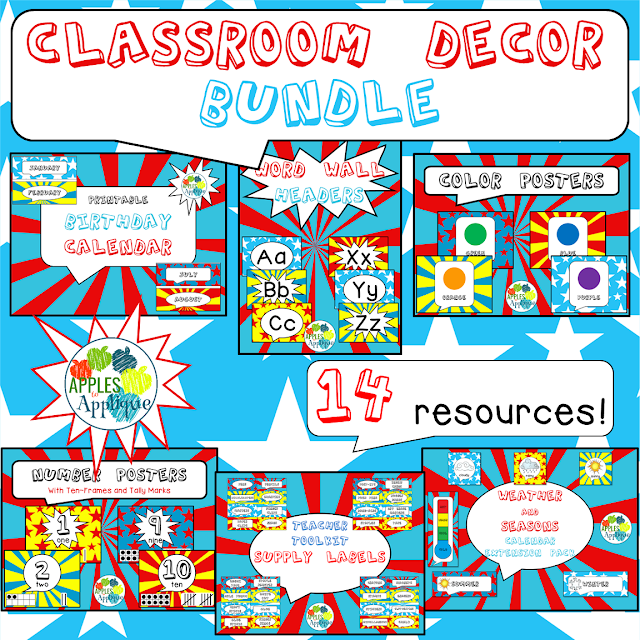 Or, save even more and buy the complete bundle, with all of the resources in each theme! 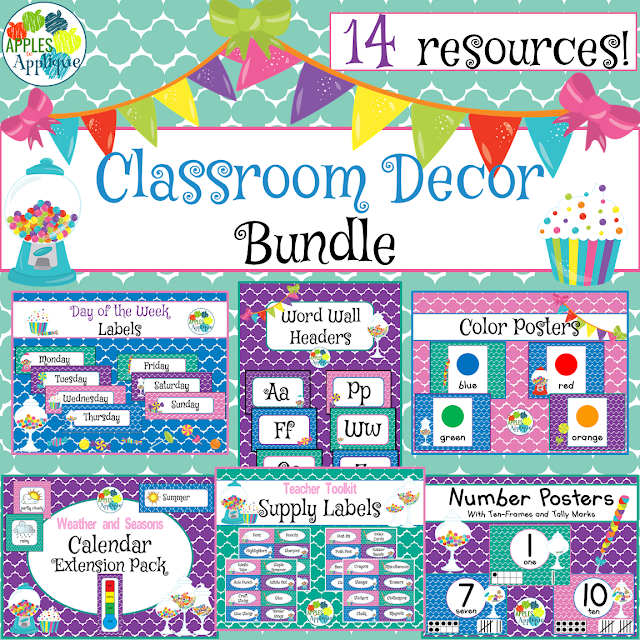 There are also some great coordinating freebies like welcome banners and file, grade, and copy labels, so make sure to check them out in my TPT store! 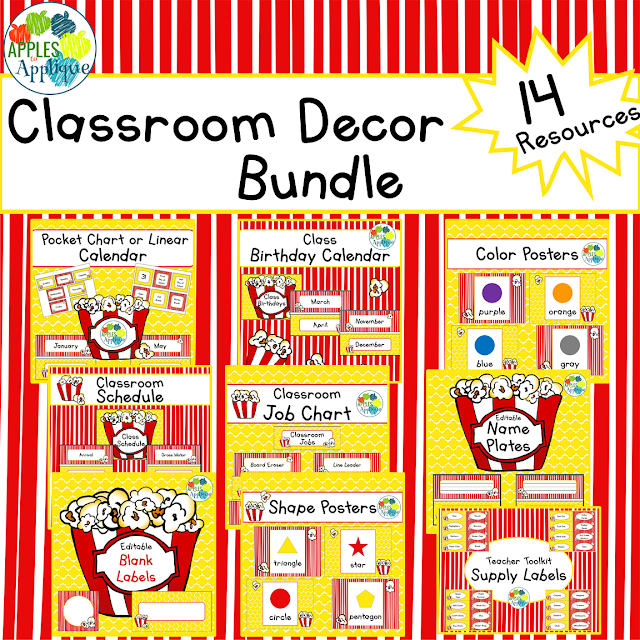 These classroom decor items make classroom setup so simple--just print and go, and you've got a totally coordinated classroom, with everything from job charts to birthday calendars to teacher toolbox labels. Many of the components are even editable, to make life easier for you! 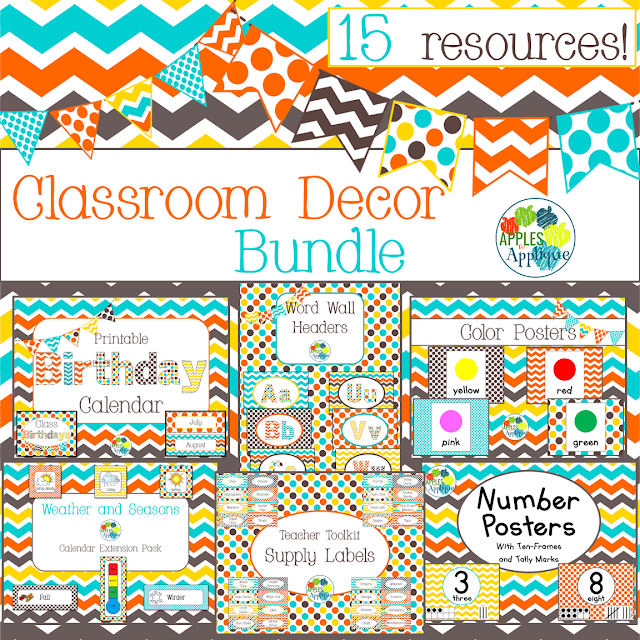 What's better than a darling, coordinated, welcoming classroom with as little effort as possible? That classroom environment is so important, but easy setup allows you to focus on what's truly vital: planning quality education for your learners. Yellow, Teal, and Gray--my bestselling theme! It's simple, pretty, and classy. Great for upper elementary! Chalkboard decor is all the rage right now! I love this clean look for any grade level. Is there anything more classic for early childhood than primary colors? I love this versatile popcorn theme! Use as-is, or pair it with circus animals or movie and film decor! 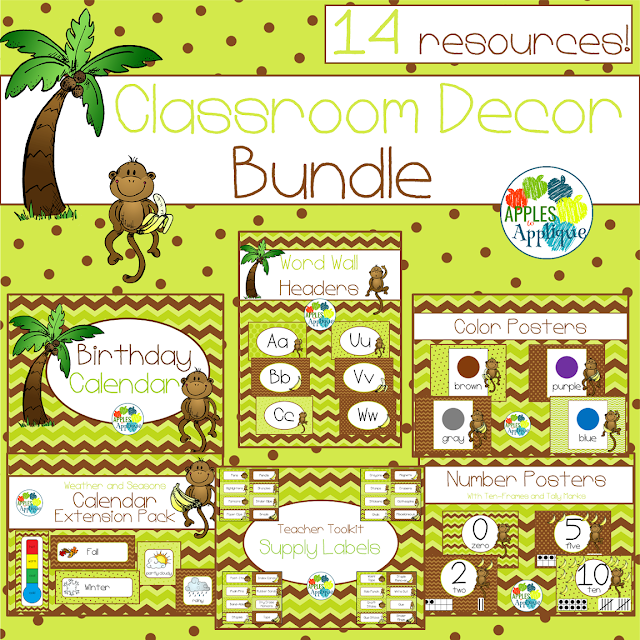 Who wouldn't love some mischievous monkeys to liven up their classroom? This comic book theme is fun for all ages, and a hit with teachers whose style isn't so "cutesy". 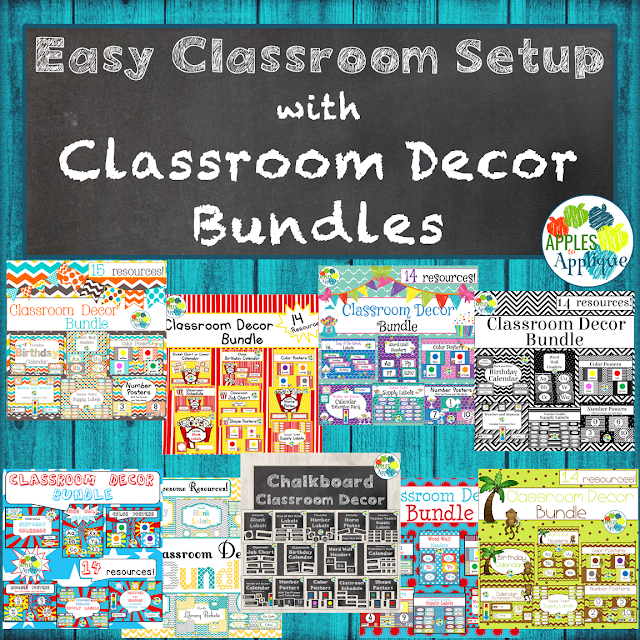 Check out this Candy Shop themed decor to lend a whimsical feel to your classroom! This colorful decor pack is fresh and bright! 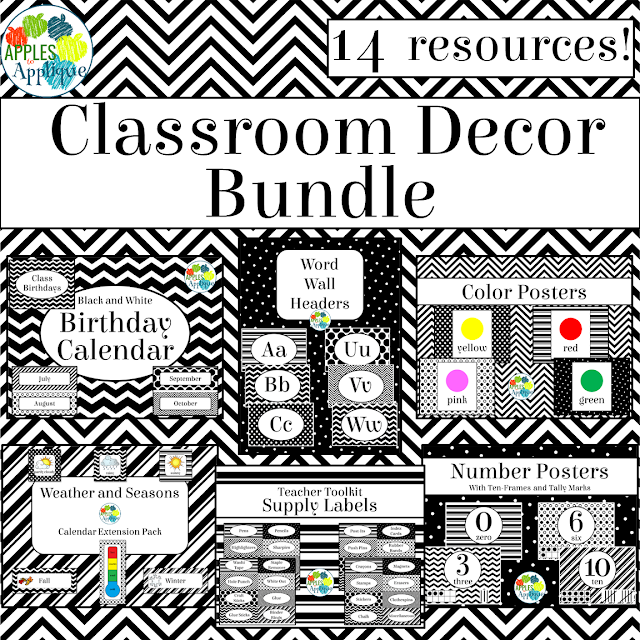 This black and white classroom decor is perfect for when you don't have access to a color printer, but still want a cute room! 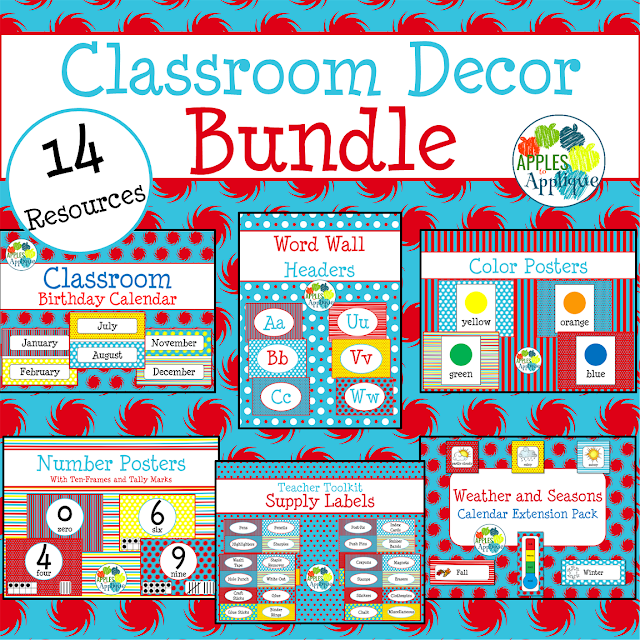 I hope you enjoy these classroom decor themes, and if you have any ideas for future themes, leave them in the comments!